A picture of perfect symmetry, the Mysore Palace is an instance of the heights attained by Indian architecture. Also known as, the Ambavilas Palace, this monument attained its present form between AD1897 and AD1912. It is the official residence of the Wodeyar or Wadiyar dynasty and attracts upwards of 6 million visitors annually. The architectural style of the Mysore Palace is Indo-Saracenic and blends elements of Hindu, Mughal, Rajput, and Gothic architectural styles. The three-story stone structure features marble domes, boasts a 145-foot five-story tower, and is surrounded by large gardens. 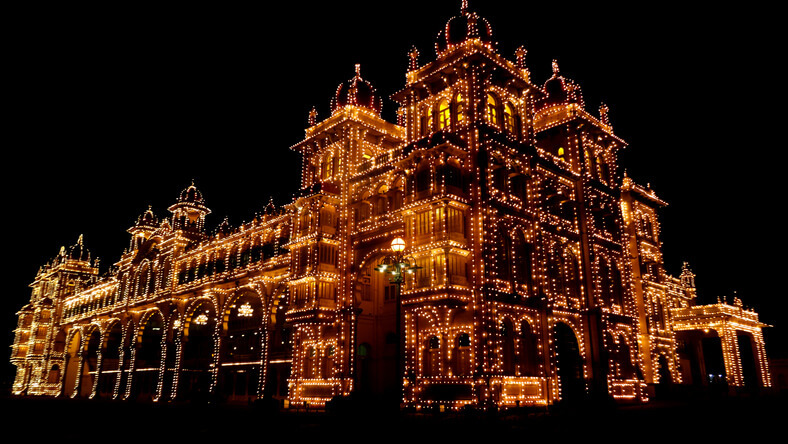 The Mysore Palace is bedecked with lights during Hindu festivals and is a sight worth a million memories. The whole palace appears as a vision of endless light that dominates the dark landscape after sunset. The vibe emanating from the lighted monument has been termed unworldly by certain observers. As one steps closer to the lighted monument, a fascinating wealth of detail emerges. 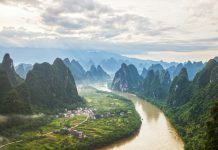 Each point of light emerges as a sovereign entity, whereas, to the distant observer, the points of light merge to create a singular continuum of gorgeous illumination. The main hall of the Mysore Palace boasts a central glass dome embellished with intricate designs. The hall also features marble from Italy and chandeliers imported from Venice. Mural paintings featuring martial scenes distinguish the visual landscape of the main hall. 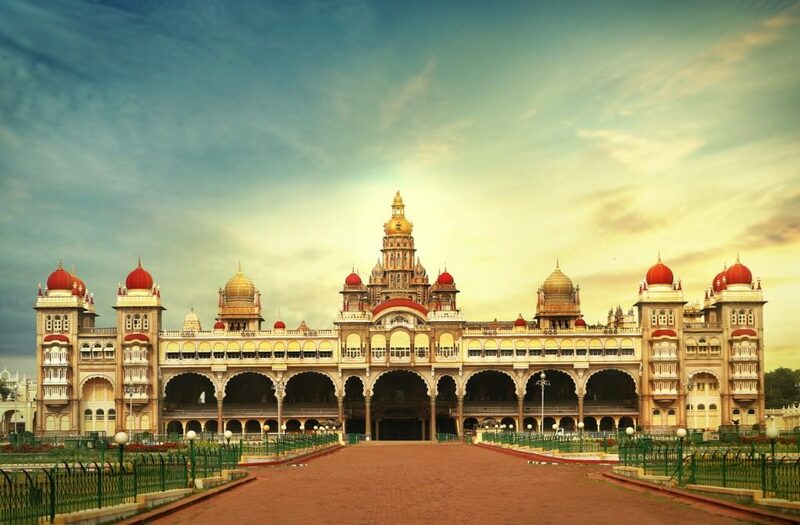 For the average visitor, the Mysore Palace holds many elements of charm and surprise! Inside the palace, one can view dolls fashioned from marble and wood, a throne made of gold, chairs carved from crystal and silver, grand pillars, and marble floors. Courtyards inside the palace feature cannons and the walls feature exquisite paintings of the Dussehra festival. Luxury also appears in the form of wooden doors inlaid with the ivory from elephant tusks. These sights can be giddy for the first-time visitor; however, seasoned travellers can revisit these charms that are an integral part of the Mysore Palace. The managers of the Mysore Palace offer audio guides and earphones to visitors. These devices share tons of useful information on the Mysore Palace; this is useful for first-time visitors as they gain acquaintance with the monument and its history. The audio input ranks higher to human guides, in terms of the quality and precision of the information. Electric cars are available for a consideration; these can ferry tourists around the expansive grounds of the palace. A sound and light show adds to the experience for tourists and visitors. This show plays between 7.00 PM and 7:45 PM every day except Sundays. The lighting aspect of this spectacle is wonderful! The Mysore Palace and its surroundings contain twelve Hindu temples dedicated to various Gods in the Hindu pantheon. The temples are variously dedicated to Lord Vishnu, Lord Shiva, Lord Krishna, the Goddess Gayatri, and the Goddess Bhuvaneshwari. The king of the Wodeyar dynasty used to meet his subjects in the Diwan-e-aam, which was used as a public darbar. Visitors can also visit the armoury which features a variety of interesting weapons from past centuries. 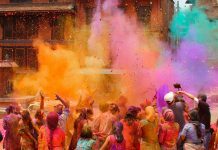 The Dussehra festival held during September and October each year celebrates the triumph of good over evil. 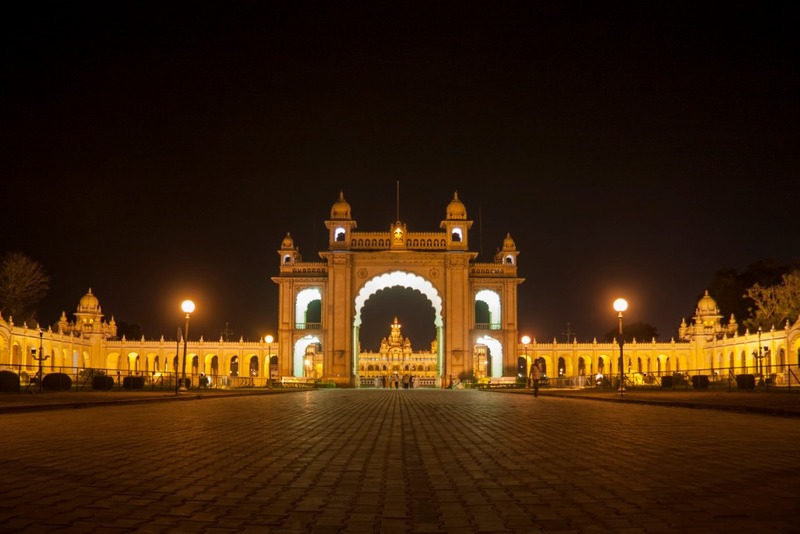 The Mysore Palace celebrates the festival with pomp and grandeur. An endless stream of tourists from various Indian states and foreign destinations visit the Mysore Palace to witness the grand celebrations. The Dussehra celebrations deserve a special mention. The Wodeyar family traditionally places an idol of the victorious Goddess Chamundeshwari on top of a beautifully decorated elephant. The royal family and commoners alike worship the Goddess, after which the elephants proceed on a ceremonial parade starting from the Mysore Palace. 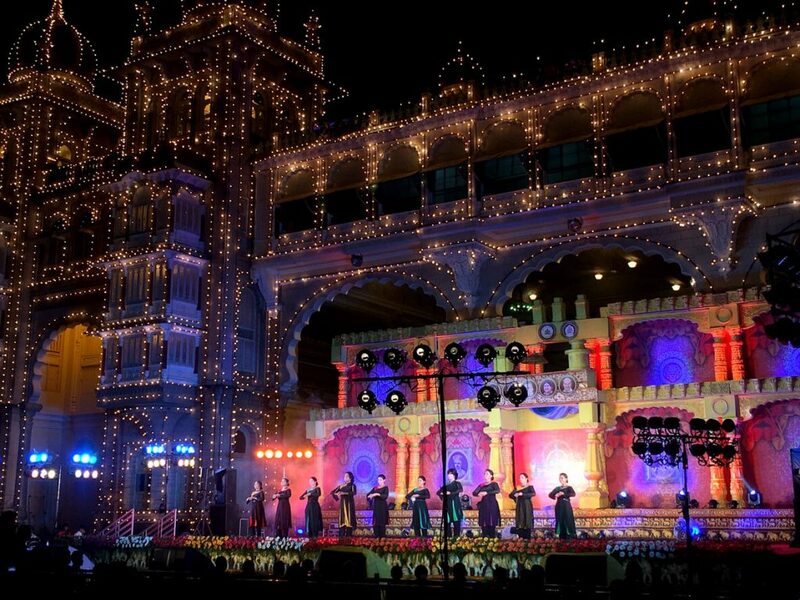 The government of Karnataka participates in the Dussehra celebrations by bringing artists from various states of India for various cultural celebrations in front of the Mysore Palace. In sum, the Mysore Palace represents one of the high points of tourist attraction in modern India. The culture, traditions, and customs practised in the palace spotlight the royal grandeur that distinguished the bygone eras.